Confetti = parties! 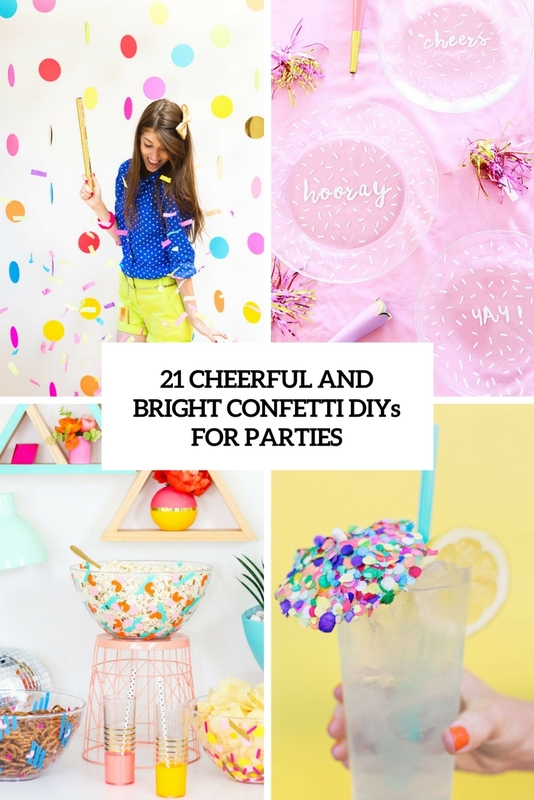 Nothing brings that party feel more than confetti, and incorporating them into party decor is always a win-win idea, and I don’t mean edible ones – only those for decor. I’ve prepared some amazing ideas to DIY for the parties that you are looking forward to, let’s get started! 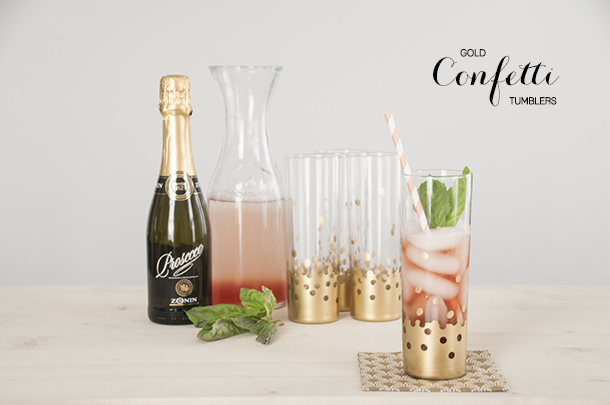 Take usual plain tumblers and spruce them up for parties! Ho to do that? 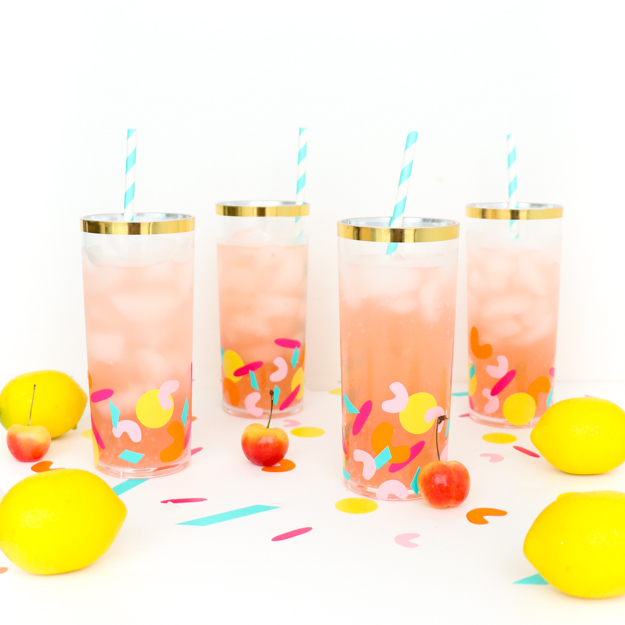 Add some washi tape and confetti tape touches to the tumblers and spray paint gold! That’s it, you’ve got amazing party tumblers and you may also spruce up other glassware this way. Such an easy craft for spring and summer parties! 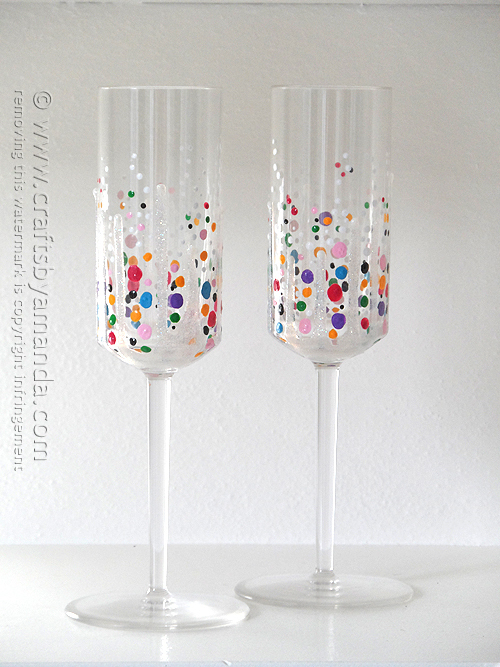 These colorful confetti champagne flutes are made using glass enamels in various colors, which make them super fun! 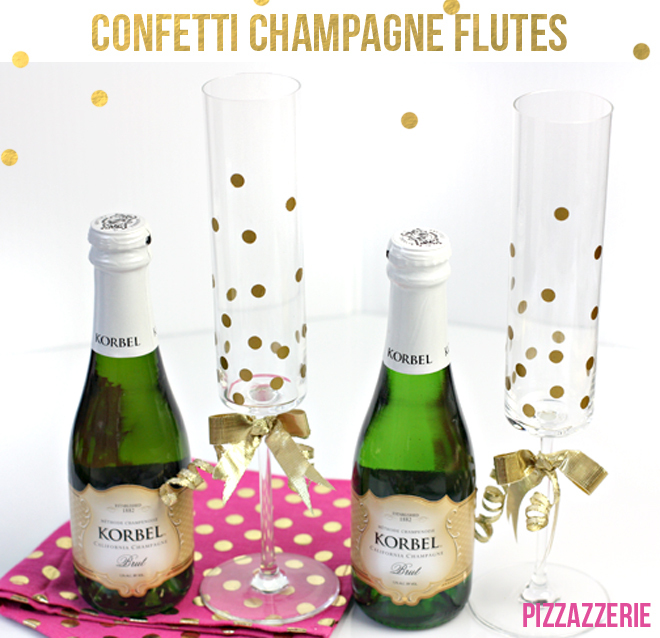 These are great DIY pieces for any party, from a New Year’s Eve to a usual birthday one. rock all the colors you like! Glassware of any kind can be spruced up for any party or to add a fun and bright touch to any meal or celebration. 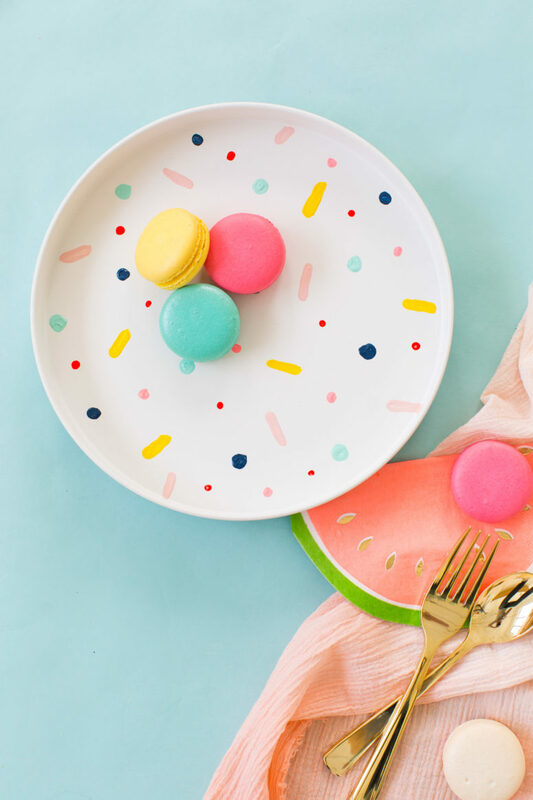 Read how to spruce up glass cups and plates with colorful confetti circles and how to make them dishwasher safe and enjoy! This isn’t tableware or glassware but it’s about drinks, too! 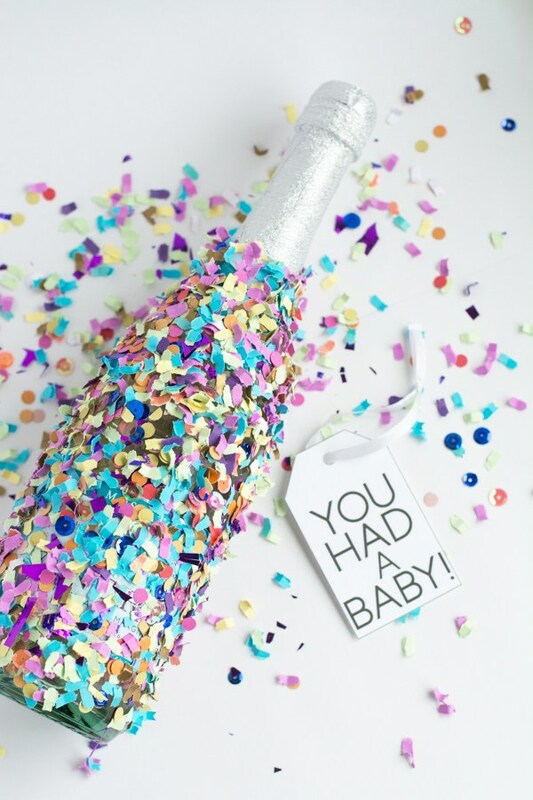 The tutorial will tell you how to decorate a champagne bottle with confetti – a great idea for a party of any kind, from a bachelorette to a baby shower. Confetti are attached to the bottle with usual glue – nothing difficult here! Such elegant champagne flutes are made using gold tape and gold bows, they are amazing for exquisite parties, for New Year’s Eve, engagement and other parties like that. Making them will take just a couple of minutes – a great craft if you are in a hurry. 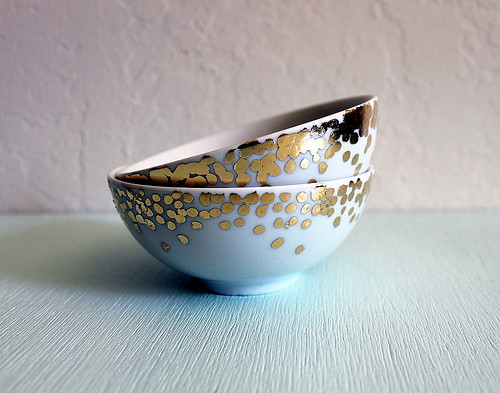 These amazing bowls are made using a gold leaf pen kit and usual ceramic bowls. This is a very simple craft – just take a pen and dot the bowl with confetti – as many as you like, densely or not. Enjoy using the bowl and serving everything you want in it. Usual glass serving bowls can be turned into fun and colorful ones using usual adhesive vinyl. 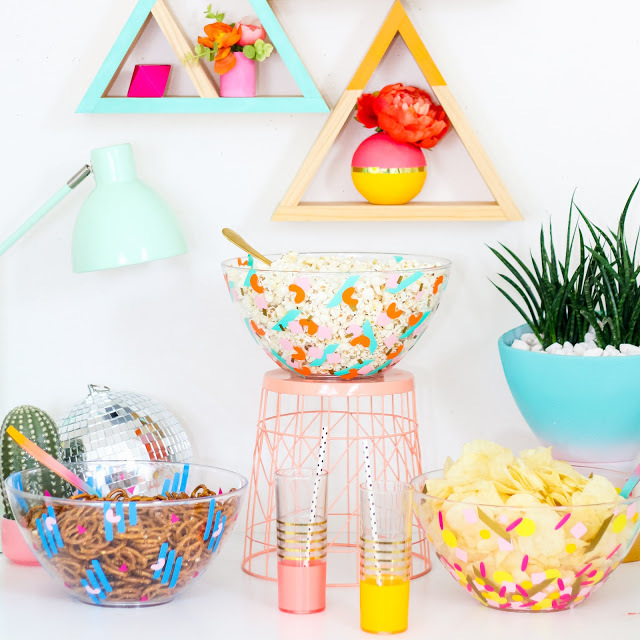 Cut colorful confetti of the shapes and looks you like and attach to the bowls – voila! The craft is very easy and won’t take much time – make them last minute if necessary and make your party fun! This craft is a continuation of the previous one, and it’s dedicated to tumblers. Usual acrylic tumblers with a gold rim are spruced up in the same way as the bowls, with permanent adhesive vinyl of bright colors. Make them fast and have fun partying! 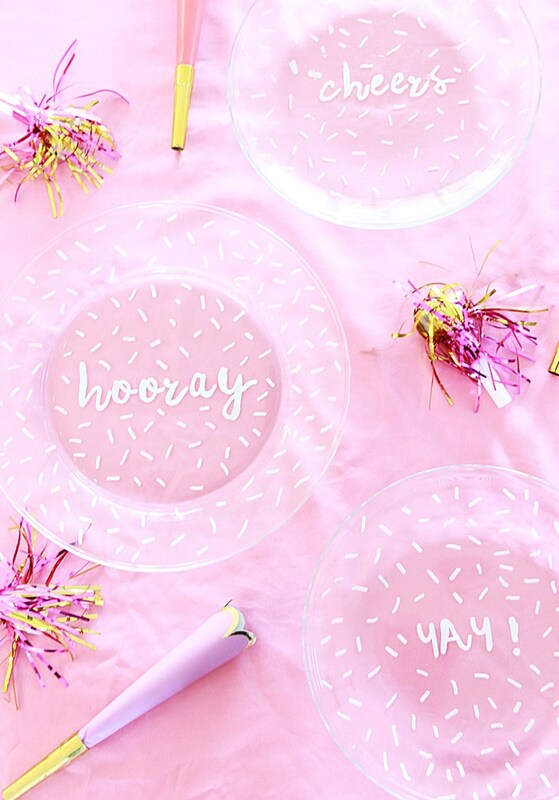 These glass plates are done with a white paint pen, it was used to decorate plates with a confetti-like pattern and you may also add some words, if you want. 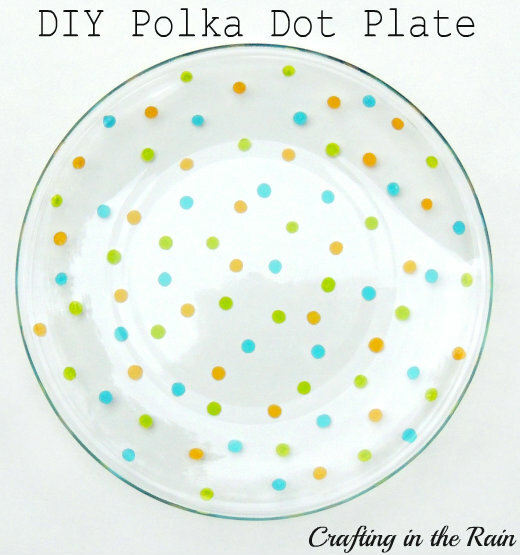 The idea is very simple and the plates look very cute and fun! The use of white color only makes the plates calmer and softer-looking. 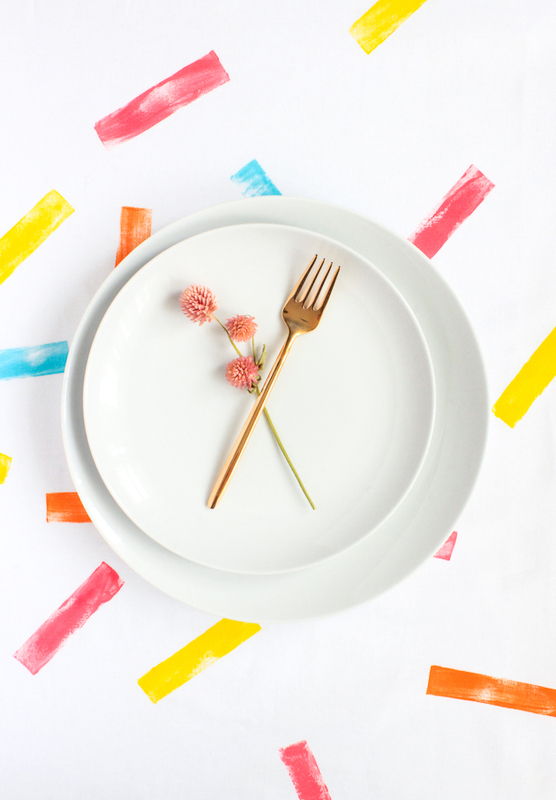 Make some colorful confetti chargers and placemats using q-tips and bold craft paint. Take plain chargers and spruce them up to make them fun for serving party food or for styling the tables. 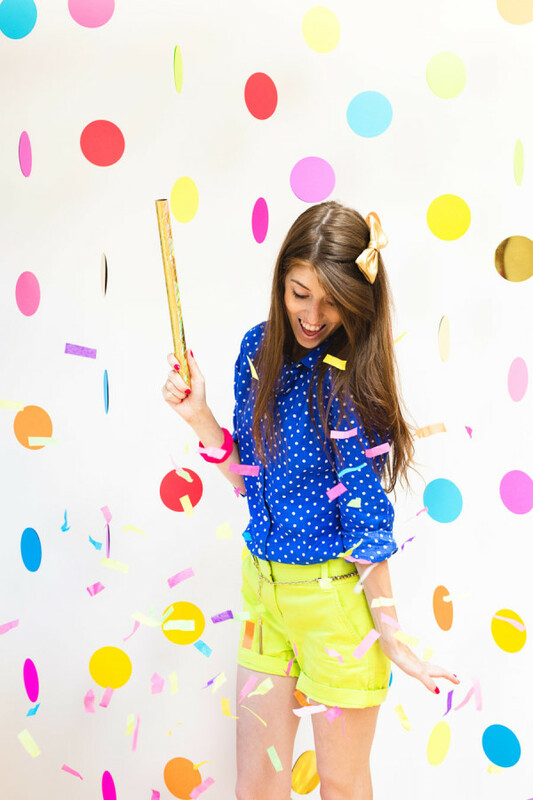 Create your own patterns and looks with painted confetti and enjoy! These super fun bowls can be used for serving and displaying various things, and they are made of confetti and Mod Podge. Making them will take some time but they are so colorful and bright, they are really worth it! 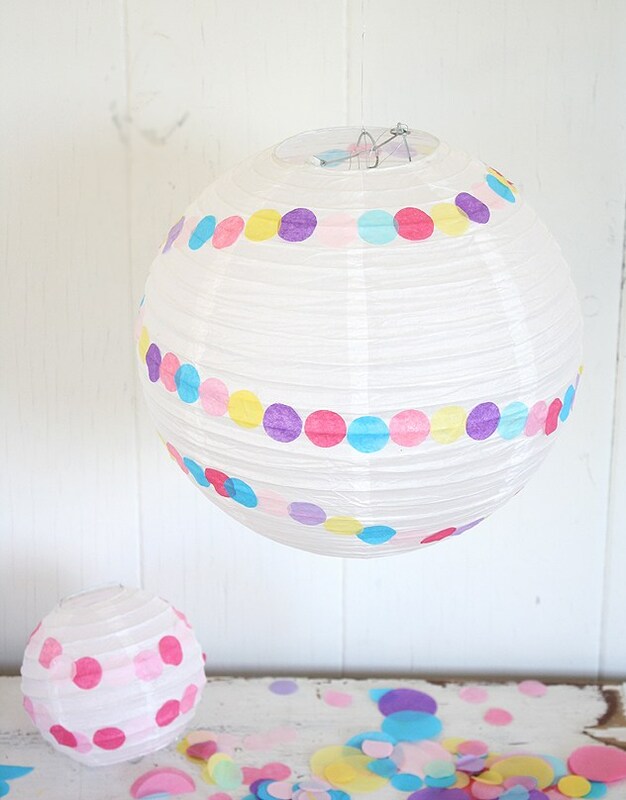 Usual plain and boring paper lanterns can be spruced up with large confetti for a party. The confetti are punched from colored paper and attached to the paper lantern with Mod Podge. You can actually paint them on the lanterns, too, if you want. Clear vinyl from the fabric store can be turned into gorgeous bold confetti placemats! How? Sew some placemats attaching two pieces of vinyl inside and fill each placemat with colorful and shiny confetti – so easy and so modern! 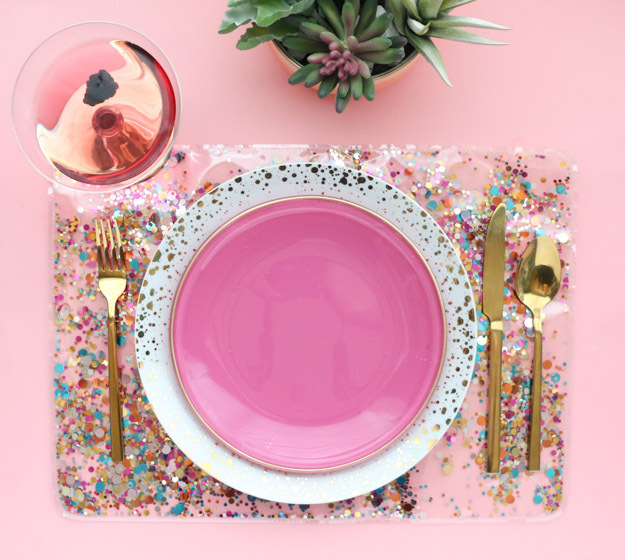 Make your party setting fun with these amazing placemats! 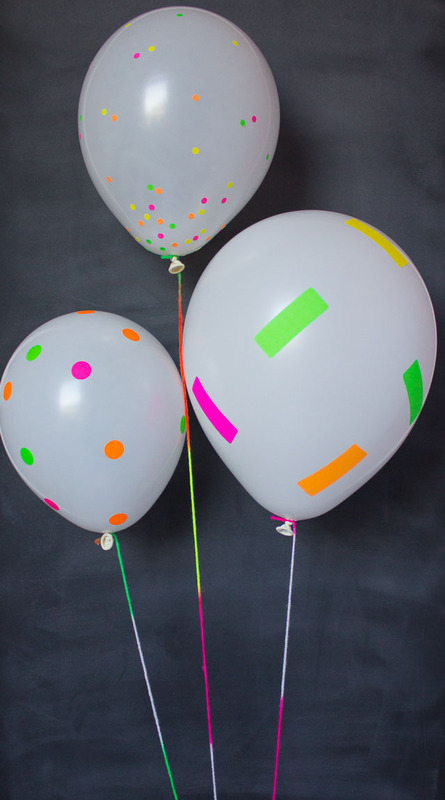 Neon office supply labels can be used for making party balloons – cut out some confetti and just attach them to the balloons you like. Make as many as you need and decorate the party space with them – such an easy craft of the things that are at hand! 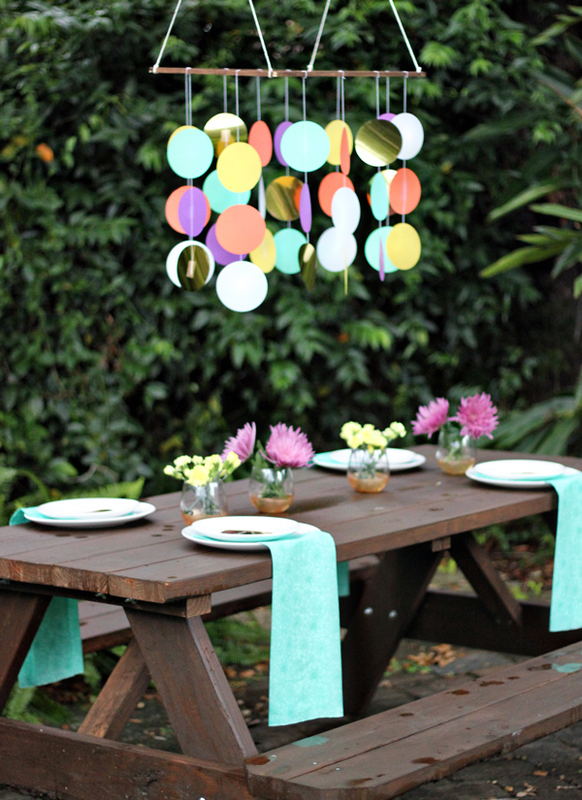 Make a colorful confetti chandelier to hang over the party space or a dining one. The gorgeous hues of coral, turquoise, gold and plum will add a quirky touch to the space! The piece is made of dowels and large paper confetti that are hanging on strings, then you’ll need just to hang the whole chandelier somewhere. Take a usual tablecloth and spruce it up with usual fabric paints! Make a tablecloth with painted confetti to add a whimsy touch to your tablescape. Go for colorful ones or keep them to two colors to make the table setting calmer. Such a solution will fit both adults’ and kids’ parties! 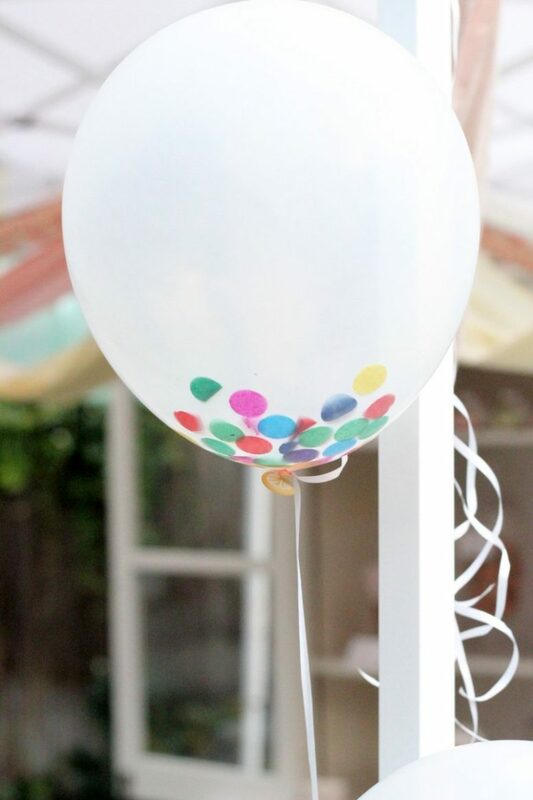 These balloons are awesome for parties – they aren’t just patterned with confetti but filled with them! Make a lot of colorful paper confetti and put them inside balloons and then fill them with air. It’s better to take white or sheer balloons to make the confetti more visible. 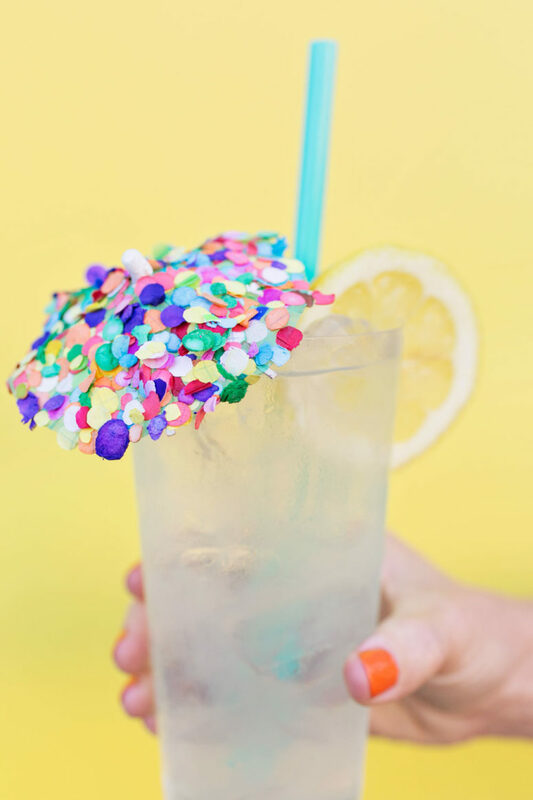 Decorate your drinks with fun and colorful confetti umbrellas! Take usual paper ones and make them pop with colorful confetti that can be attached with Mod Podge. Make super colorful and fun umbrellas for guests’ drinks for a bright and cheerful feel at the party! 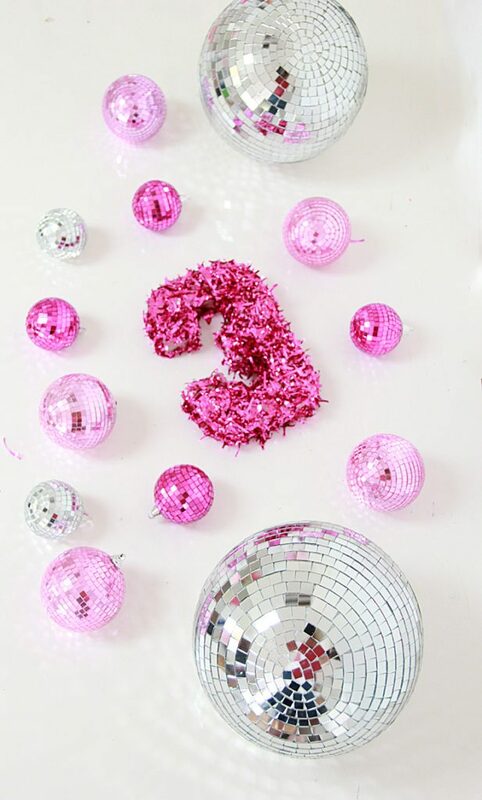 Make a confetti number photo prop for your party! 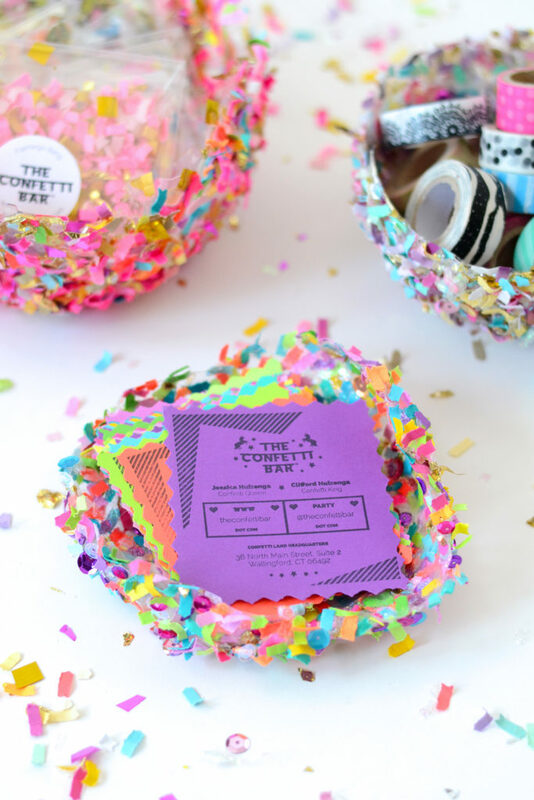 Take a usual paper mache number and spruce it up with bold confetti of your choice. Usual spray adhesive will help you to show off the number at its best. It’s a nice idea for a birthday or anniversary party. 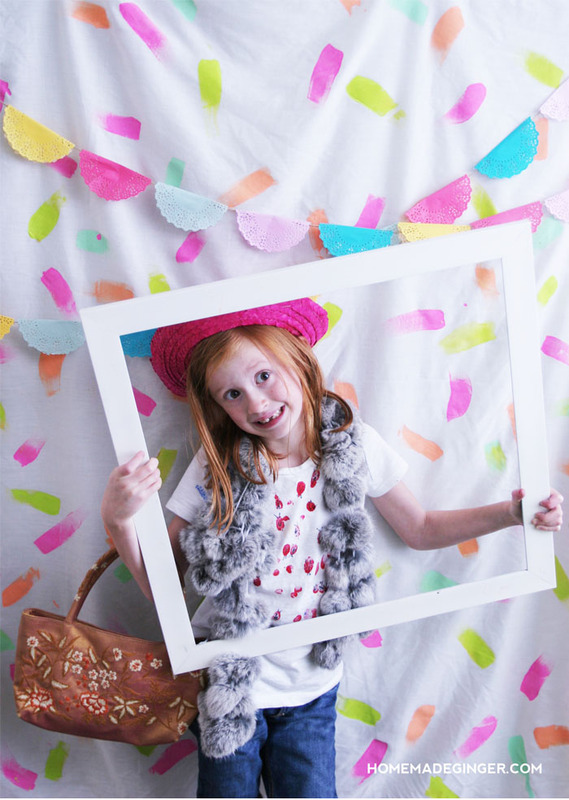 Giant paper confetti can be used for making a gorgeous colorful confetti backdrop! Use fishing line to make the confetti look as if they are floating in the air. Read how to attach them to the line and hang these strings in the photo booth for a cool backdrop. This is another photo booth backdrop, and it’s much easier than the previous one, it’s made of fabric and confetti are painted on it. Easy and fast, don’t forget to iron the backdrop to avoid the messy look!